^ D.J. Erskine; J. Edelstein; D. Harbeck; J. Lloyd (2005). “Externally Dispersed Interferometry for Planetary Studies”. In Daniel R. Coulter. Proceedings of SPIE: Techniques and Instrumentation for Detection of Exoplanets II. 5905. pp. 249–260. https://e-reports-ext.llnl.gov/pdf/322047.pdf. ^ Auriere, Michel; Konstantinova-Antova, Renada; Espagnet, Olivier; Petit, Pascal; Roudier, Thierry; Charbonnel, Corinne; Donati, Jean-Francois; Wade, Gregg A. (2013). “Pollux: A stable weak dipolar magnetic field but no planet?”. Proceedings of the International Astronomical Union 9: 359. arXiv:1310.6907. doi:10.1017/S1743921314002476. ^ Forveille, T.; Bonfils, X.; Delfosse, X.; Alonso, R.; Udry, S.; Bouch, F.; Gillon, M.; Lovis, C. et al. (2011年9月12日). “The HARPS search for southern extra-solar planets XXXII. Only 4 planets in the Gl~581 system”. arXiv:1109.2505v1 [astro-ph.EP]. "...Our dataset therefore has strong diagnostic power for planets with the parameters of Gl 581f and Gl 581g, and we conclude that the Gl 581 system is unlikely to contain planets with those characteristics...."
^ Bonfils; Delfosse; Udry; Forveille; Mayor; Perrier; Bouchy; Gillon et al. (2011年). “The HARPS search for southern extra-solar planets XXXI. The M-dwarf sample”. arXiv:1111.5019 [astro-ph.EP]. ^ Stevens, Daniel J.; Gaudi, B. Scott (2013). “A Posteriori Transit Probabilities”. Publications of the Astronomical Society of the Pacific 125 (930): 933–950. arXiv:1305.1298. Bibcode: 2013PASP..125..933S. doi:10.1086/672572. ^ Hidas, M. G.; Ashley, M. C. B.; Webb; and others (2005). “The University of New South Wales Extrasolar Planet Search: methods and first results from a field centred on NGC 6633”. Monthly Notices of the Royal Astronomical Society 360 (2): 703–717. arXiv:astro-ph/0501269. Bibcode: 2005MNRAS.360..703H. doi:10.1111/j.1365-2966.2005.09061.x. ^ Santerne, A.; Díaz, R. F.; Moutou, C.; Bouchy, F.; Hébrard, G.; Almenara, J. -M.; Bonomo, A. S.; Deleuil, M. et al. (2012). “SOPHIE velocimetry of Kepler transit candidates”. Astronomy & Astrophysics 545: A76. arXiv:1206.0601. Bibcode: 2012A&A...545A..76S. doi:10.1051/0004-6361/201219608. ^ O'Donovan (2006). “Rejecting Astrophysical False Positives from the TrES Transiting Planet Survey: The Example of GSC 03885-00829”. The Astrophysical Journal 644 (2): 1237–1245. arXiv:astro-ph/0603005. Bibcode: 2006ApJ...644.1237O. doi:10.1086/503740. http://www.iop.org/EJ/article/0004-637X/644/2/1237/64043.html. ^ a b Charbonneau; Allen, Lori E.; Megeath, S. Thomas; Torres, Guillermo; Alonso, Roi; Brown, Timothy M.; Gilliland, Ronald L.; Latham, David W. et al. (2005). “Detection of Thermal Emission from an Extrasolar Planet”. The Astrophysical Journal 626 (1): 523–529. arXiv:astro-ph/0503457. Bibcode: 2005ApJ...626..523C. doi:10.1086/429991. http://www.iop.org/EJ/article/0004-637X/626/1/523/62152.html. ^ a b Deming, D.; Seager, S.; Richardson, J.; Harrington, J. (2005). “Infrared radiation from an extrasolar planet” (PDF). Nature 434 (7034): 740–743. arXiv:astro-ph/0503554. Bibcode: 2005Natur.434..740D. doi:10.1038/nature03507. PMID 15785769. http://www.obspm.fr/encycl/papers/nature03507.pdf. ^ Borucki, William J. (18 April 2013). “Kepler-62: A Five-Planet System with Planets of 1.4 and 1.6 Earth Radii in the Habitable Zone”. Science Express 340: 587–90. arXiv:1304.7387. Bibcode: 2013Sci...340..587B. doi:10.1126/science.1234702. PMID 23599262. http://www.sciencemag.org/content/early/2013/04/17/science.1234702 2016年11月18日閲覧。. ^ Barclay, T.; Rowe, J. F.; Lissauer, J. J.; Huber, D.; Fressin, F.; Howell, S. B.; Bryson, S. T.; Chaplin, W. J. et al. (2013-02-20). “A sub-Mercury-sized exoplanet”. Nature 494 (7438): 452–4. arXiv:1305.5587. Bibcode: 2013Natur.494..452B. doi:10.1038/nature11914. ISSN 0028-0836. PMID 23426260. http://www.nature.com/nature/journal/vaop/ncurrent/full/nature11914.html 2016年11月18日閲覧。. ^ Snellen, I.A.G. ; De Mooij, E.J.W. ; Albrecht, S. (2009). “The changing phases of extrasolar planet CoRoT-1b”. Nature (Nature Publishing Group) 459 (7246): 543–545. arXiv:0904.1208. Bibcode: 2009Natur.459..543S. doi:10.1038/nature08045. PMID 19478779. http://www.nature.com/nature/journal/v459/n7246/full/nature08045.html. ^ Borucki, W.J; Koch, D.; Jenkins, J.; Sasselov, D.; Gilliland, R.; Batalha, N.; Latham, D. W.; Caldwell, D. et al. (2009). “Kepler's Optical Phase Curve of the Exoplanet HAT-P-7b”. Science 325 (5941): 709. Bibcode: 2009Sci...325..709B. doi:10.1126/science.1178312. PMID 19661420. ^ Loeb, Abraham; Gaudi, B. Scott (2003). “Periodic Flux Variability of Stars due to the Reflex Doppler Effect Induced by Planetary Companions”. The Astrophysical Journal 588 (2): L117. arXiv:astro-ph/0303212. Bibcode: 2003ApJ...588L.117L. doi:10.1086/375551. ^ Faigler, Simchon; Tal-Or, Lev; Mazeh, Tsevi; Latham, Dave W.; Buchhave, Lars A. (2013). “BEER analysis of Kepler and CoRoT light curves: I. Discovery of Kepler-76b: A hot Jupiter with evidence for superrotation”. The Astrophysical Journal 771: 26. arXiv:1304.6841. Bibcode: 2013ApJ...771...26F. doi:10.1088/0004-637X/771/1/26. ^ Townsend, Rich (27 January 2003). The Search for Extrasolar Planets (Lecture). Department of Physics & Astronomy, Astrophysics Group, University College, London. オリジナルの15 September 2005時点によるアーカイブ。. https://web.archive.org/web/20050915080856/http://www.star.ucl.ac.uk/~rhdt/diploma/lecture_2/ 2017年12月27日閲覧。. ^ Sinukoff, E.; Fulton, B.; Scuderi, L.; Gaidos, E. (2013). “Below One Earth Mass: The Detection, Formation, and Properties of Subterrestrial Worlds”. Space Science Reviews 180: 71. arXiv:1308.6308. Bibcode: 2013SSRv..180...71S. doi:10.1007/s11214-013-0019-1. ^ A. Wolszczan and D. A. Frail (9 January 1992). 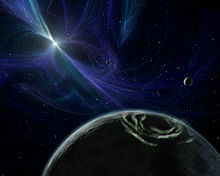 “A planetary system around the millisecond pulsar PSR1257+12”. Nature 355 (6356): 145–147. Bibcode: 1992Natur.355..145W. doi:10.1038/355145a0. http://www.nature.com/physics/looking-back/wolszczan/index.html 2017年12月27日閲覧。. ^ Shibahashi, Hiromoto; Kurtz, Donald W. (2012). “FM stars: A Fourier view of pulsating binary stars, a new technique for measuring radial velocities photometrically”. Monthly Notices of the Royal Astronomical Society 422: 738. arXiv:1202.0105. Bibcode: 2012MNRAS.422..738S. doi:10.1111/j.1365-2966.2012.20654.x. ^ Miralda-Escude (2001). “Orbital perturbations on transiting planets: A possible method to measure stellar quadrupoles and to detect Earth-mass planets”. The Astrophysical Journal 564 (2): 1019–1023. arXiv:astro-ph/0104034. Bibcode: 2002ApJ...564.1019M. doi:10.1086/324279. ^ Holman; Murray (2005). “The Use of Transit Timing to Detect Extrasolar Planets with Masses as Small as Earth”. Science 307 (5713): 1288–1291. arXiv:astro-ph/0412028. Bibcode: 2005Sci...307.1288H. doi:10.1126/science.1107822. PMID 15731449. ^ Agol; Sari; Steffen; Clarkson (2004). “On detecting terrestrial planets with timing of giant planet transits”. Monthly Notices of the Royal Astronomical Society 359 (2): 567–579. arXiv:astro-ph/0412032. Bibcode: 2005MNRAS.359..567A. doi:10.1111/j.1365-2966.2005.08922.x. ^ Sarah Ballard; Daniel Fabrycky; Francois Fressin; David Charbonneau; Jean-Michel Desert; Guillermo Torres; Geoffrey Marcy; Burke et al. (2011). “The Kepler-19 System: A Transiting 2.2 R_Earth Planet and a Second Planet Detected via Transit Timing Variations”. The Astrophysical Journal 743 (2): 200. arXiv:1109.1561. Bibcode: 2011ApJ...743..200B. doi:10.1088/0004-637X/743/2/200. ^ Nascimbeni; Piotto; Bedin; Damasso (2008年). “TASTE: The Asiago Survey for Timing transit variations of Exoplanets”. arXiv:1009.5905 [astro-ph.EP]. ^ Pal; Kocsis (2008). “Periastron Precession Measurements in Transiting Extrasolar Planetary Systems at the Level of General Relativity”. Monthly Notices of the Royal Astronomical Society 389 (2008): 191–198. arXiv:0806.0629. Bibcode: 2008MNRAS.389..191P. doi:10.1111/j.1365-2966.2008.13512.x. ^ a b Welsh, William F.; Orosz, Jerome A.; Carter, Joshua A.; Fabrycky, Daniel C. (2013). “Recent Kepler Results on Circumbinary Planets”. Proceedings of the International Astronomical Union 8: 125. arXiv:1308.6328. Bibcode: 2014IAUS..293..125W. doi:10.1017/S1743921313012684. ^ Doyle, Laurance R.; Deeg, Hans-Jorg (2002). “Timing detection of eclipsing binary planets and transiting extrasolar moons”. Bioastronomy 7: 80. arXiv:astro-ph/0306087. Bibcode: 2004IAUS..213...80D. "Bioastronomy 2002: Life Among the Stars" IAU Symposium 213, R.P Norris and F.H. Stootman (eds), A.S.P., San Francisco, California, 80–84. ^ Deeg, Hans-Jorg; Doyle, Laurance R.; Kozhevnikov, V. P.; Blue, J. Ellen; Martín, L.; Schneider, J. (2000). “A search for Jovian-mass planets around CM Draconis using eclipse minima timing”. Astronomy & Astrophysics 358 (358): L5–L8. arXiv:astro-ph/0003391. Bibcode: 2000A&A...358L...5D. http://citeseer.ist.psu.edu/379779.html. ^ Doyle, Laurance R., Hans-Jorg Deeg, J.M. Jenkins, J. Schneider, Z. Ninkov, R. P.S. Stone, J.E. Blue, H. Götzger, B, Friedman, and M.F. Doyle (1998). "Detectability of Jupiter-to-brown-dwarf-mass companions around small eclipsing binary systems". Brown Dwarfs and Extrasolar Planets, A.S.P. Conference Proceedings, in Brown Dwarfs and Extrasolar Planets, R. Rebolo, E. L. Martin, and M.R.Z. Osorio (eds. ), A.S.P. Conference Series 134, San Francisco, California, 224–231. ^ a b J.-P. Beaulieu; D.P. Bennett; P. Fouque; A. Williams; M. Dominik; U.G. Jorgensen; D. Kubas; A. Cassan et al. (2006). “Discovery of a Cool Planet of 5.5 Earth Masses Through Gravitational Microlensing”. Nature 439 (7075): 437–440. arXiv:astro-ph/0601563. Bibcode: 2006Natur.439..437B. doi:10.1038/nature04441. PMID 16437108. http://www.nature.com/nature/journal/v439/n7075/full/nature04441.html. ^ Brooks, Thomas; Stahl, H. P.; Arnold, William R. (2015). “Advanced Mirror Technology Development (AMTD) thermal trade studies”. Optical Modeling and Performance Predictions VII. Optical Modeling and Performance Predictions VII. 9577. pp. 957703. doi:10.1117/12.2188371. ^ Close, L. M.; Follette, K. B.; Males, J. R.; Puglisi, A.; Xompero, M.; Apai, D.; Najita, J.; Weinberger, A. J. et al. (2014). “Discovery of H-alpha Emission from the Close Companion Inside the Gap of Transitional Disk HD142527”. The Astrophysical Journal 781 (2): L30. arXiv:1401.1273. Bibcode: 2014ApJ...781L..30C. doi:10.1088/2041-8205/781/2/L30. ^ G. Chauvin; A.M. Lagrange; C. Dumas; B. Zuckerman; D. Mouillet; I. Song; J.-L. Beuzit; P. Lowrance (2004). “A giant planet candidate near a young brown dwarf”. Astronomy & Astrophysics 425 (2): L29–L32. arXiv:astro-ph/0409323. Bibcode: 2004A&A...425L..29C. doi:10.1051/0004-6361:200400056. http://www.edpsciences.org/articles/aa/abs/2004/38/aagg222/aagg222.html. ^ Astronomers verify directly imaged planet Archived 30 June 2010 at the Wayback Machine. ^ Lagrange, A.-M.; Gratadour, D.; Chauvin, G.; Fusco, T.; Ehrenreich, D.; Mouillet, D.; Rousset, G.; Rouan, D. et al. (2009). “A probable giant planet imaged in the β Pictoris disk”. Astronomy and Astrophysics 493 (2): L21–L25. arXiv:0811.3583. Bibcode: 2009A&A...493L..21L. doi:10.1051/0004-6361:200811325. ISSN 0004-6361. ^ Thalmann, Christian; Joseph Carson; Markus Janson; Miwa Goto et al. (2009). “Discovery of the Coldest Imaged Companion of a Sun-Like Star”. The Astrophysical Journal 707 (2): L123–L127. arXiv:0911.1127v1. Bibcode: 2009ApJ...707L.123T. doi:10.1088/0004-637X/707/2/L123. ^ Masayuki Kuzuhara et al. (2013). “Direct Imaging of a Cold Jovian Exoplanet in Orbit around the Sun-like Star GJ 504”. The Astrophysical Journal 774 (11): 11. arXiv:1307.2886. Bibcode: 2013ApJ...774...11K. doi:10.1088/0004-637X/774/1/11. ^ Wagner, Kevin (7 July 2016). “Direct imaging discovery of a Jovian exoplanet within a triple-star system”. Science 353 (6300): 673–678. arXiv:1607.02525. Bibcode: 2016Sci...353..673W. doi:10.1126/science.aaf9671. PMID 27386921. http://science.sciencemag.org/content/early/2016/07/06/science.aaf9671/. ^ R. Neuhauser; E. W. Guenther; G. Wuchterl; M. Mugrauer; A. Bedalov; P.H. Hauschildt (2005). “Evidence for a co-moving sub-stellar companion of GQ Lup”. Astronomy & Astrophysics 435 (1): L13–L16. arXiv:astro-ph/0503691. Bibcode: 2005A&A...435L..13N. doi:10.1051/0004-6361:200500104. http://www.edpsciences.org/articles/aa/abs/2005/19/aagj061/aagj061.html. ^ M. Janson; W. Brandner; T. Henning; H. Zinnecker (2005). “Early ComeOn+ adaptive optics observation of GQ Lupi and its substellar companion”. Astronomy & Astrophysics 453 (2): 609–614. arXiv:astro-ph/0603228. Bibcode: 2006A&A...453..609J. doi:10.1051/0004-6361:20054475. http://www.edpsciences.org/articles/aa/abs/2006/26/aa4475-05/aa4475-05.html. ^ Schmid, H. M.; Beuzit, J.-L.; Feldt, M.; and others; Gratton, R.; Henning, Th. ; Joos, F.; Kasper, M. et al. (2006). “Search and investigation of extra-solar planets with polarimetry”. Direct Imaging of Exoplanets: Science & Techniques. Proceedings of the IAU Colloquium #200 1 (C200): 165–170. Bibcode: 2006dies.conf..165S. doi:10.1017/S1743921306009252. ^ Schmid, H. M.; Gisler; Joos; Povel; Stenflo; Feldt; Lenzen; Brandner et al. (2004). “ZIMPOL/CHEOPS: a Polarimetric Imager for the Direct Detection of Extra-solar Planets”. Astronomical Polarimetry: Current Status and Future Directions ASP Conference Series 343: 89. Bibcode: 2005ASPC..343...89S. ^ Hough, J. H.; Lucas, P. W.; Bailey, J. A.; Tamura, M.; Hirst, E.; Harrison, D.; Bartholomew-Biggs, M. (2006). “PlanetPol: A Very High Sensitivity Polarimeter”. Publications of the Astronomical Society of the Pacific 118 (847): 1305–1321. Bibcode: 2006PASP..118.1305H. doi:10.1086/507955. ^ Berdyugina, Svetlana V.; Andrei V. Berdyugin; Dominique M. Fluri; Vilppu Piirola (20 January 2008). “First detection of polarized scattered light from an exoplanetary atmosphere”. The Astrophysical Journal 673: L83. arXiv:0712.0193. Bibcode: 2008ApJ...673L..83B. doi:10.1086/527320. http://www.kis.uni-freiburg.de/~sveta/papers/exoplanet_hd189733b.pdf. ^ Jacob, W. S. (Jun 1855). “On certain Anomalies presented by the Binary Star 70 Ophiuchi”. Monthly Notices of the Royal Astronomical Society 15 (9): 228–230. Bibcode: 1855MNRAS..15..228J. doi:10.1093/mnras/15.9.228. ^ a b See, Thomas Jefferson Jackson (1896). “Researches on the Orbit of F.70 Ophiuchi, and on a Periodic Perturbation in the Motion of the System Arising from the Action of an Unseen Body”. The Astronomical Journal 16: 17. Bibcode: 1896AJ.....16...17S. doi:10.1086/102368. ^ Sherrill, Thomas J. (1999). “A Career of controversy: the anomaly OF T. J. J. See” (PDF). Journal for the history of astronomy 30: 25–50. doi:10.1177/002182869903000102. http://www.shpltd.co.uk/jha.pdf. ^ Heintz, W.D. (June 1988). “The Binary Star 70 Ophiuchi Revisite”. Journal of the Royal Astronomical Society of Canada 82 (3): 140. Bibcode: 1988JRASC..82..140H. ^ Gatewood, G. (May 1996). “Lalande 21185”. Bulletin of the American Astronomical Society (American Astronomical Society, 188th AAS Meeting, #40.11;) 28: 885. Bibcode: 1996AAS...188.4011G. ^ Alan Boss (2 February 2009). The Crowded Universe. Basic Books. ISBN 0-465-00936-0. ^ Benedict; McArthur, B. E.; Forveille, T.; Delfosse, X.; Nelan, E.; Butler, R. P.; Spiesman, W.; Marcy, G. et al. (2002). “A Mass for the Extrasolar Planet Gliese 876b Determined from Hubble Space Telescope Fine Guidance Sensor 3 Astrometry and High-Precision Radial Velocities”. The Astrophysical Journal Letters 581 (2): L115–L118. arXiv:astro-ph/0212101. Bibcode: 2002ApJ...581L.115B. doi:10.1086/346073. http://www.iop.org/EJ/article/1538-4357/581/2/L115/16766.html. ^ Pravdo, Steven H.; Shaklan, Stuart B. (2009). “An Ultracool Star's Candidate Planet”. The Astrophysical Journal 700: 623–632. arXiv:0906.0544. Bibcode: 2009ApJ...700..623P. doi:10.1088/0004-637X/700/1/623. オリジナルの4 June 2009時点によるアーカイブ。. 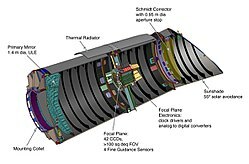 https://web.archive.org/web/20090604100620/http://steps.jpl.nasa.gov/links/docs/pravdoshaklan09vb10b.pdf. ^ Bean, J.; Andreas Seifahrt; Henrik Hartman; Hampus Nilsson; Ansgar Reiners; Stefan Dreizler; Henry; Guenter Wiedemann (2009年). “The Proposed Giant Planet Orbiting VB 10 Does Not Exist”. arXiv:0912.0003v2 [astro-ph.EP]. ^ Anglada-Escude, G.; Shkolnik; Weinberger; Thompson; Osip; Debes (2010). “Strong Constraints to the Putative Planet Candidate around VB 10 Using Doppler Spectroscopy”. The Astrophysical Journal. v2 711: L24. arXiv:1001.0043. Bibcode: 2010ApJ...711L..24A. doi:10.1088/2041-8205/711/1/L24. ^ Muterspaugh, Matthew W.; Lane, Benjamin F.; Kulkarni, S. R.; Konacki, Maciej; Burke, Bernard F.; Colavita, M. M.; Shao, M.; Hartkopf, William I. et al. (2010). “The PHASES Differential Astrometry Data Archive. V. Candidate Substellar Companions to Binary Systems”. The Astronomical Journal 140 (6): 1657. arXiv:1010.4048. Bibcode: 2010AJ....140.1657M. doi:10.1088/0004-6256/140/6/1657. ^ van Belle, Gerard T.; Kaspar von Braun; Boyajian, Tabetha; Schaefer, Gail (2014). “Direct Imaging of Planet Transit Events”. Proceedings of the International Astronomical Union 8: 378. arXiv:1405.1983. Bibcode: 2014IAUS..293..378V. doi:10.1017/S1743921313013197. ^ a b J.S. Greaves; M.C. Wyatt; W.S. Holland; W.F.R. Dent (2004). “The debris disk around tau Ceti: a massive analogue to the Kuiper Belt”. Monthly Notices of the Royal Astronomical Society 351 (3): L54–L58. Bibcode: 2004MNRAS.351L..54G. doi:10.1111/j.1365-2966.2004.07957.x. ^ Greaves, J. S.; Holland, W. S.; Wyatt, M. C.; Dent, W. R. F.; Robson, E. I.; Coulson, I. M.; Jenness, T.; Moriarty-Schieven, G. H. et al. (2005). “Structure in the Epsilon Eridani Debris Disk”. The Astrophysical Journal Letters 619 (2): L187–L190. Bibcode: 2005ApJ...619L.187G. doi:10.1086/428348. http://www.iop.org/EJ/article/1538-4357/619/2/L187/18910.html. ^ Stark, C. C; Kuchner, M. J (2009). “A New Algorithm for Self-consistent Three-dimensional Modeling of Collisions in Dusty Debris Disks”. The Astrophysical Journal 707: 543–553. arXiv:0909.2227. Bibcode: 2009ApJ...707..543S. doi:10.1088/0004-637X/707/1/543. ^ Koester, D.; Gänsicke, B. T.; Farihi, J. (2014-06-01). “The frequency of planetary debris around young white dwarfs” (英語). Astronomy & Astrophysics 566: A34. arXiv:1404.2617. Bibcode: 2014A&A...566A..34K. doi:10.1051/0004-6361/201423691. ISSN 0004-6361. http://www.aanda.org/articles/aa/abs/2014/06/aa23691-14/aa23691-14.html. ^ Vanderburg, Andrew; Johnson, John Asher; Rappaport, Saul; Bieryla, Allyson; Irwin, Jonathan; Lewis, John Arban; Kipping, David; Brown, Warren R. et al. (2015-10-22). “A disintegrating minor planet transiting a white dwarf” (英語). Nature 526 (7574): 546–549. arXiv:1510.06387. Bibcode: 2015Natur.526..546V. doi:10.1038/nature15527. ISSN 0028-0836. PMID 26490620. http://www.nature.com/nature/journal/v526/n7574/full/nature15527.html. ^ Knutson, Heather A.; Charbonneau, David; Allen, Lori E.; Fortney, Jonathan J.; Agol, Eric; Cowan, Nicolas B.; Showman, Adam P.; Cooper, Curtis S. et al. (2007-05-10). “A map of the day–night contrast of the extrasolar planet HD 189733b”. Nature 447 (7141): 183–186. arXiv:0705.0993. Bibcode: 2007Natur.447..183K. doi:10.1038/nature05782. ISSN 0028-0836. PMID 17495920. http://www.nature.com/nature/journal/v447/n7141/full/nature05782.html. ^ Kawahara, Hajime; Murakami, Naoshi; Matsuo, Taro; Kotani, Takayuki (2014). “Spectroscopic Coronagraphy for Planetary Radial Velocimetry of Exoplanets”. The Astrophysical Journal Supplement Series 212 (2): 27. arXiv:1404.5712. Bibcode: 2014ApJS..212...27K. doi:10.1088/0067-0049/212/2/27. ^ Tingley, B.; Parviainen, H.; Gandolfi, D.; Deeg, H. J.; Pallé, E.; Montañés Rodriguez, P.; Murgas, F.; Alonso, R. et al. (2014). “Confirmation of an exoplanet using the transit color signature: Kepler-418b, a blended giant planet in a multiplanet system”. Astronomy & Astrophysics 567: A14. arXiv:1405.5354. Bibcode: 2014A&A...567A..14T. doi:10.1051/0004-6361/201323175. ^ Horner, Jonathan; Wittenmyer, Robert A.; Tinney, Chris G.; Robertson, Paul; Hinse, Tobias C.; Marshall, Jonathan P. (2013年). “Dynamical Constraints on Multi-Planet Exoplanetary Systems”. arXiv:1302.5247 [astro-ph.EP]. ^ Robertson, Paul; Mahadevan, Suvrath (2014). “Disentangling Planets and Stellar Activity for Gliese 667C”. The Astrophysical Journal 793 (2): L24. arXiv:1409.0021. Bibcode: 2014ApJ...793L..24R. doi:10.1088/2041-8205/793/2/L24. ^ Bryson, Stephen T.; Jenkins, Jon M.; Gilliland, Ronald L.; Twicken, Joseph D.; Clarke, Bruce; Rowe, Jason; Caldwell, Douglas; Batalha, Natalie et al. (2013). “Identification of Background False Positives from Kepler Data”. Publications of the Astronomical Society of the Pacific 125 (930): 889. arXiv:1303.0052. Bibcode: 2013PASP..125..889B. doi:10.1086/671767. ^ Todorov, Kamen O.; Deming, Drake; Burrows, Adam S.; Grillmair, Carl J. (2014). “Updated Spitzer Emission Spectroscopy of Bright Transiting Hot Jupiter HD189733b”. The Astrophysical Journal 796 (2): 100. arXiv:1410.1400. Bibcode: 2014ApJ...796..100T. doi:10.1088/0004-637X/796/2/100. ^ Stevenson, Kevin B.; Desert, Jean-Michel; Line, Michael R.; Bean, Jacob L.; Fortney, Jonathan J.; Showman, Adam P.; Kataria, Tiffany; Kreidberg, Laura et al. (2014). “Thermal structure of an exoplanet atmosphere from phase-resolved emission spectroscopy”. Science 346 (6211): 838. arXiv:1410.2241. Bibcode: 2014Sci...346..838S. doi:10.1126/science.1256758. PMID 25301972. ^ Gilliland, Ronald L.; Cartier, Kimberly M. S.; Adams, Elisabeth R.; Ciardi, David R.; Kalas, Paul; Wright, Jason T. (2014). “Hubble Space Telescopehigh-Resolution Imaging Ofkeplersmall and Cool Exoplanet Host Stars”. The Astronomical Journal 149: 24. arXiv:1407.1009. Bibcode: 2015AJ....149...24G. doi:10.1088/0004-6256/149/1/24. ^ Lillo-Box, J.; Barrado, D.; Bouy, H. (2014). “High-resolution imaging of $Kepler$ planet host candidates. A comprehensive comparison of different techniques”. Astronomy & Astrophysics 566: A103. arXiv:1405.3120v1. Bibcode: 2014A&A...566A.103L. doi:10.1051/0004-6361/201423497. ^ Price, Ellen M.; Rogers, Leslie A.; John Asher Johnson; Dawson, Rebekah I. (2014). “How Low Can You Go? The Photoeccentric Effect for Planets of Various Sizes”. The Astrophysical Journal 799: 17. arXiv:1412.0014. Bibcode: 2015ApJ...799...17P. doi:10.1088/0004-637X/799/1/17. Lunine, Jonathan I.; MacIntosh, Bruce; Peale, Stanton (2009). “The detection and characterization of exoplanets”. Physics Today 62 (5): 46. Bibcode: 2009PhT....62e..46L. doi:10.1063/1.3141941. Sackett, Penny (2010). “Microlensing exoplanets”. Scholarpedia 5: 3991. Bibcode: 2010SchpJ...5.3991S. doi:10.4249/scholarpedia.3991.